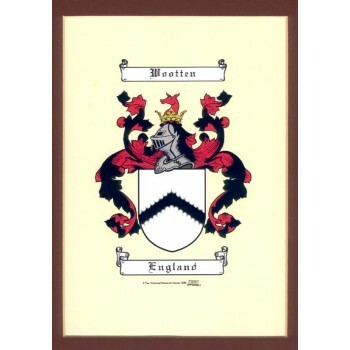 A full colour Authentic Coat of Arms & Crest -the perfect accompaniment for your Family Name History. Heraldic symbols form an intriguing work of art and have meanings that have represented the hopes and ambitions of bearers over the centuries. An ancient tradition that will be treasured by your family into the future. Now you can learn about the Coat of Arms, find out its meaning, what the symbols and colours stood for, and have your own authentic representation of this centuries-old tradition. This will become a talking point among your family and relatives. It makes a fabulous gift.